Engineer and inventor, Joseph T. Listner was early to recognize the appeal and convenience of bagged, ready-to-eat vegetables. In 1959, he designed and built a one-of-a-kind machine that sliced raw carrots into sticks. The machine enabled a small-scale producer like Listner, Inc., in Wallington, New Jersey, to slice an estimated one million pounds of carrots in sixteen years of operation. Listner sold his bagged carrot sticks and cole slaw to stores, including the Grand Union supermarket chain. 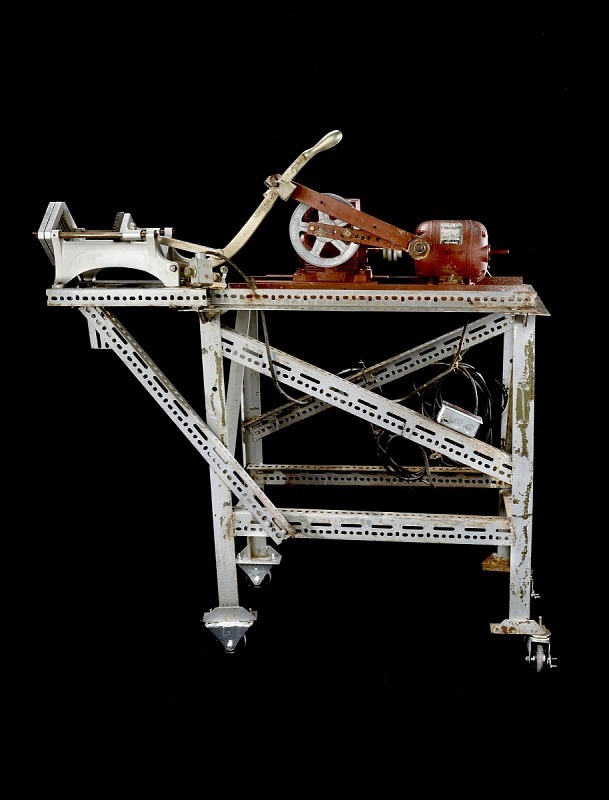 Joseph T. Listner made his slicer with components from other machines. Although the carrots still had to be peeled by hand, the machine automatically trimmed them to uniform sticks. Gift of Chem Listner. In the late 1980s, vegetable processors in California sought a way to salvage imperfect carrots that would have been discarded. They adapted industrial peelers to pare them down and marketed the results as “baby carrots.” By 2000, one-third of the fresh carrots sold in the United States were babies.